All Creatures Animal Solutions provides professional wildlife control for both residential & commercial customers. We specialize in removing, repelling, and relocating your nuisance wildlife and finally repairing any damage they may have caused. We also do property inspections and can provide you with written estimates on repairing damage or evacuating wildlife. 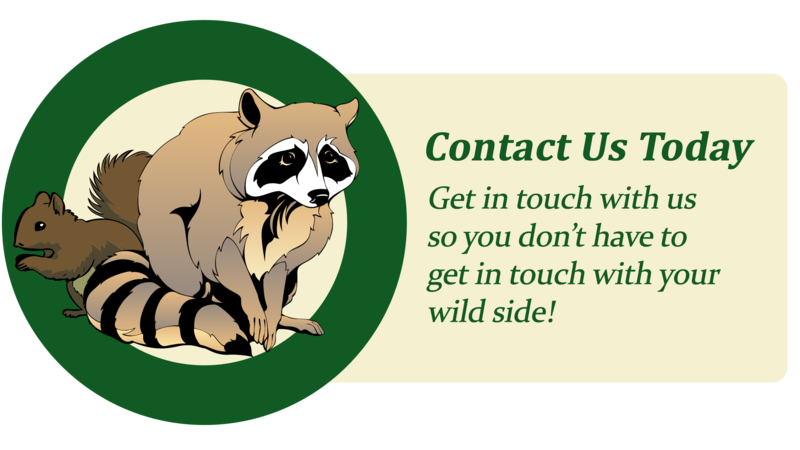 We offer custom animal control solutions for almost any type of wildlife problem, whether it be the noises of squirrels running through the attic, a colony of bats living in a building, or the destructive behavior of a raccoon. We have the experience and the tools to quickly and professionally solve your problem. Wildlife capture and removal is of course, an essential part of nuisance wildlife control. While most people appreciate nature, they do not always appreciate the destruction of property, disturbance of peace, or health risks that wild animals in and around the home cause. The goal of our company is to quickly and humanely eliminate the animals causing the problems. The goal is not to eliminate every animal in the neighborhood, just the target ones causing you the headaches. For example, if a raccoon is living in your chimney, our company will not set traps on the ground, which may catch any number of non-target raccoons or other animals. our company will go right for the target animals in the chimney. There is no area our company can’t reach. I have dealt with all animals in all situations, and am aware of the proper methods of capturing the target animals only. Once captured, the animals will be released at an approved area far from the capture site, or euthanized in a humane manner, as the situation dictates. The capture and removal of nuisance animals in the home is only half of the problem. If the entryway to the house is not found, a new animal will take the old one’s place. This is particularly true of the spaces under porches, decks, and sheds. These areas provide ideal habitat for a number of animals. our company can make sure that no animals invade your space again. Our exclusion barriers are built to last, and are 100% effective at keeping unwanted critters from getting back in. Animals can do a surprising amount of damage to your home. Whether it be the chewing of rodents, the removal of screening by a raccoon, the droppings of a colony of bats, or the digging of an armadillo, our company can fix the damage, and eliminate the source of the problem. Be aware that all rodents chew -including electrical wires- a potential fire hazard. Some nuisance wildlife situations can be classified as emergencies. This includes exposure to potentially dangerous animals, such as rabid raccoons or poisonous snakes. Some people carry phobias toward certain animals as well, and may consider a sudden unwelcome visit by a bat, for example, as an emergency. Or perhaps an animal is loose in your house and causing damage. If you are in an emergency situation, I can come at any time, day or night, as quickly as possible. Nuisance animals cause odor problems in a variety of ways. Their excrement is a primary source of odor problems, and often quite noticeable if an animal has taken up residence somewhere in your home. Animal carcasses are another source of odor. Skunks present a whole other dimension in odor problems. I can identify the source of animal odors, and eliminate both the current source of the odor (for example, excrement removal) and the underlying cause (the animal’s entry into your home). This work may be covered by homeowners insurance. I will thoroughly treat the contaminated area with a special enzyme-based biological decontaminating agent, applied with an electric atomizer. This will neutralize the odors and pheromones the animals leave behind, as well as aide in the decomposition of organic matter, helping to decontaminate the affected area. Dead animals attract all matter of vermin and disease, not to mention new nuisance animals which wish to feed on the carcass. Of course, the smell and sight are also offensive. If an animal has died on your property and you do not wish to dispose of it yourself due to health concerns or other reasons, I can remove it for you and dispose of it in a proper manner for a small service fee. If the dead animal(s) is within the architecture of your house I can find its location and remove it. This may involve some dismantling, for example, the removal of drywall behind which a dead carcass is located. Charges for animal removal within houses varies depending upon the difficulty of the removal. Describe your problem in detail, and I can provide an estimate. Copyright © 2017 All Creatures Wildlife Services, All Rights Reserved.